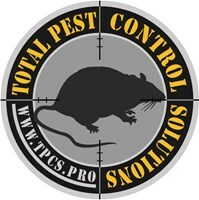 Total Pest Control Solutions - Pest/Vermin Control based in Hayes, Middlesex. Here at Total Pest Control Solutions all of our pest control technicians and consultants are fully trained in every aspect of pest control and a hold a ROYAL SOCIETY FOR PUBLIC HEALTH level 2 certificate in pest management. Total Pest Control Solutions are also proud members of The BRITISH PEST CONTROL ASSOCIATION and a member of the BASIS PROMPT register of managers & technicians providing professional pest control services and advice. This is the time of year where the highest number of call outs and the number one pest we deal with is for the dreaded wasps. To deal swiftly with the issue of problematic wasps we provide a same day rapid wasps removal seven days a week. All wasps nest treated are fully guaranteed. Over 80% of our customers come from recommendations. Total Pest Control Solutions specialise in the rapid, safe and discreet removal of Rats, Mice, Bedbugs, Cockroaches, Ants, Wasps, Hornets, Moths, Silverfish, Fleas etc., as well as all specialist bird-proofing measures know matter how big or small, not only do we eradicate the pests, we look for the source, to make sure the problem won’t occur again. We look forward to hearing from you and will strive to help out with any problems you may have, and get you back to living a pest free existence. How much will your pest control treatment cost? We offer on-site assessments and advice for FREE. Our sensible, fair pricing policy is based on the type and extent of your pest infestation. Our vans are unmarked, as we like to provide a DISCREET & PROFESSIONAL PEST CONTROL SERVICE.